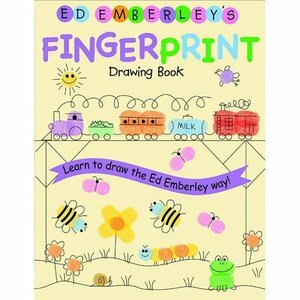 For Vera's last birthday she received an Ed Emberley fingerprint art book. 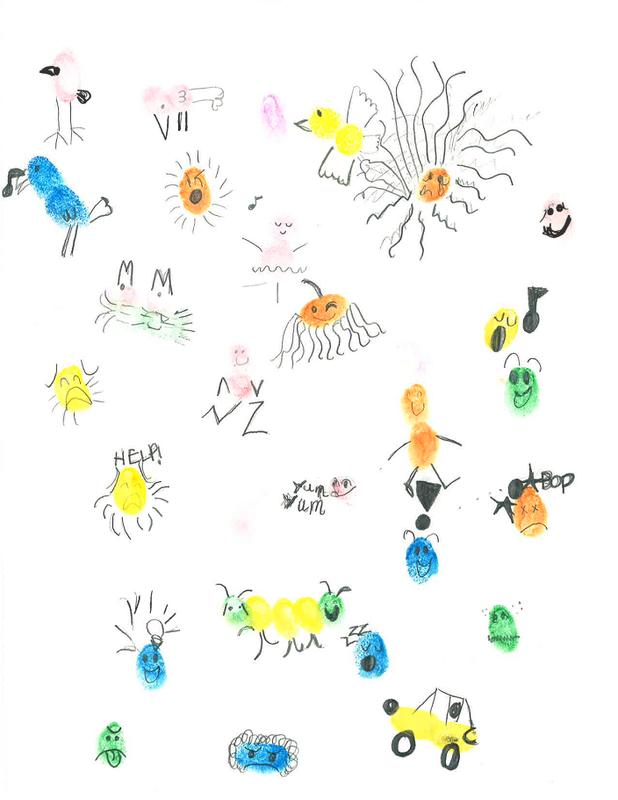 The book is slightly advanced for her age, but she is able to do many of the "drawings" on her own. I think the book is pretty wonderful and Ed Emberley is a new favorite. He not only has the art series, he also has written children's literature. 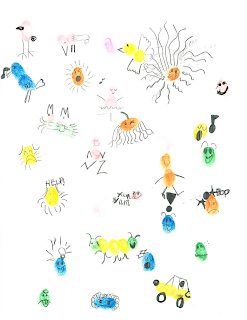 One of the ones on our current rotation is, Bye-Bye, Big Bad Bullybug! Since the move, I have been a bit slow to pull out all of our art supplies again. I am adding it to my "Things To Do" list.